The follow-up to New World Interactive’s realistic military shooter, Insurgency: Sandstorm has a new trailer that shows off the game’s focus on uncompromising infantry combat. Check out our list of the best FPS games available on PC. The trailer highlights the game’s updated Unreal 4-powered graphics, plus some new features like driveable vehicles and barrages of incoming artillery. Publisher Focus Home Interactive says the game, which will be out on PC, Xbox One, and PlayStation 4 later this year, will support 16 vs. 16 multiplayer matches, co-op versus bots, as well as objective-based team modes. 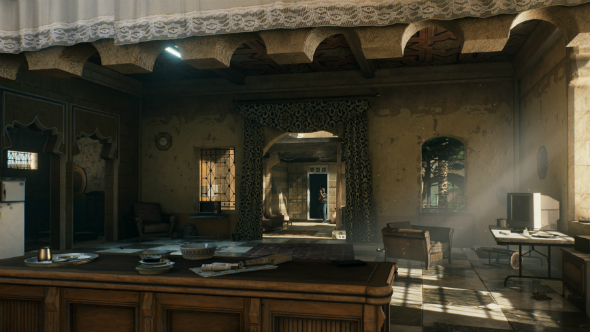 Earlier this year, New World announced they weredropping Insurgency: Sandstorm’s planned story modein order to focus on the multiplayer experience. They also said they’d be abandoning plans to include real-world locations and conflicts. That shouldn’t deter players from keeping Sandstorm on their radar, however, as the original Insurgency was one of the better shooters available on PC, and this version promises to stay true to the first game’s commitment to highly accurate ballistics and the most realism you could find this side of ARMA.